How Hot is Molecular Gastronomy? Our TV series Wine Portfolio’s slogan is Eat, Drink, Travel and so we’ve been able to experience many great culinary delights and have had the pleasure of filming many Michelin star rated Chefs. One of the most innovative is Hong Kong’s infamous Demon Chef a world leader in Molecular Gastronomy. For him taste is very VERY personal. Cooking can be considered both an art and a science. We experience it as an art in its presentation as a multisensory experience and we experience it as science in the way that raw ingredients are combined, changed and manipulated with heat and cold and other techniques. What a chef creates in the kitchen, in their food’s aromas, flavors, textures, sounds, and appearance is a unique amalgamation of a creative mind alongside a systematic one. This idea becomes amplified in the modern cooking discipline of molecular gastronomy. This field uncovers the physical and chemical processes that occur while cooking. All cooking is a chemical reaction but the way we might cook something may create a very different end result. Cooking and egg for example. Think of all the many different ways and products we can come up with by heating an egg. The difference though is the process. What are we doing to the egg before we expose it to heat, how are we heating the egg, and at what temperature are we heating it. Today, many chef’s are beginning to experiment with this idea. 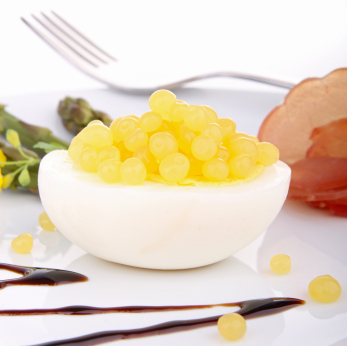 Some of these molecular gastronomy techniques include using carbon dioxide as a source for adding bubbles and making foams, liquid nitrogen for flash freezing and shattering, syringes for injecting unexpected fillings, edible paper made from soybeans and potato starch for use with edible fruit inks, spherification to create a caviar like effect, and thoroughly modern presentation styles. We’d love to hear some of your feedback on this modern take on cooking. We think its absolutely an experience to try!